I know…I know….it’s out of my “box” to design something like the Southern Summertime Square right? It was such an honor when Tamara (Moogly) asked me if I wanted to join the 2016 CAL and design a square, so how could I turn down the opportunity? Plus, it ended up being really a lot more fun than I had anticipated. I think with this square, the color possibilities are endless as you can see with the colors I chose. I loved using the vibrant colors of the Lion Brand Vanna’s Choice too. What do you think? The square has just enough “openness” while still providing a sound structure to make it stand the test of time. I think this square coupled with all the other squares in the Moogly CAL fits in perfectly! Let get to the pattern now! Craftsy has Vanna’s Choice on Sale right now for $2.64/skein! Lion Brand Vanna’s Choice, #4, 170 yards/100 g, in White, Lime, and Aqua. Approximately 85-100 yards total. Ch 3 at beginning of round counts as double crochet unless otherwise stated. (2 dc, ch 2, 2 dc) The first dc in the sequence is a ch 3 or you may prefer to use the standing double crochet stitch. (2 sc, ch 2, 2 sc) The first sc in the sequence is a (ch 1, sc) or you may prefer to use the standing single crochet stitch. Square is made in joined rounds with the right side always facing. If you are a visual person and love to read charts…..Here ya go! 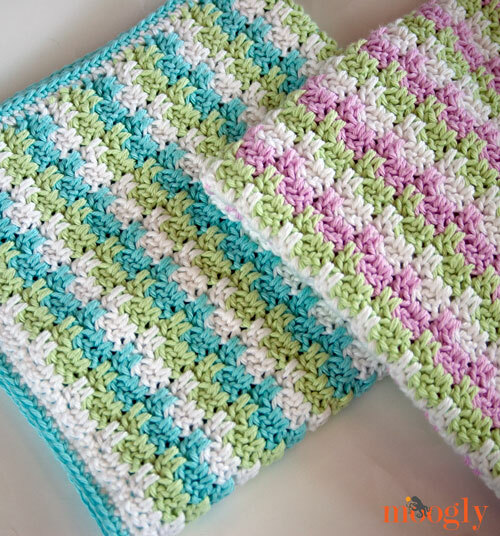 As always, you’ll find them for both the right and left-handed crocheter! Follow ELK Studio on your favorite social media sites. You can find me on Facebook, Pinterest, Twitter and Instagram! You can also join the ELK Studio Crocheter’s Facebook Group for lots of fun community crochet chat! Last week I asked you what you would like to see on the next show. 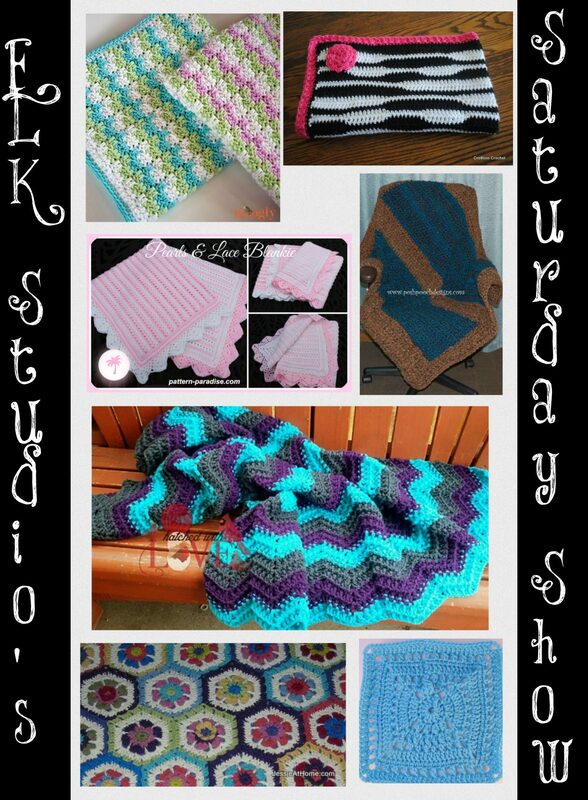 Well, it’s all about blankets today on ELK Studio’s Saturday Crochet Show. Some of the patterns are free while others are a paid pattern. Either way, each pattern has its own unique style and personality. I hope you will find something that suits your fancy and that will make you get the ole’ hook out and crochet the day away! 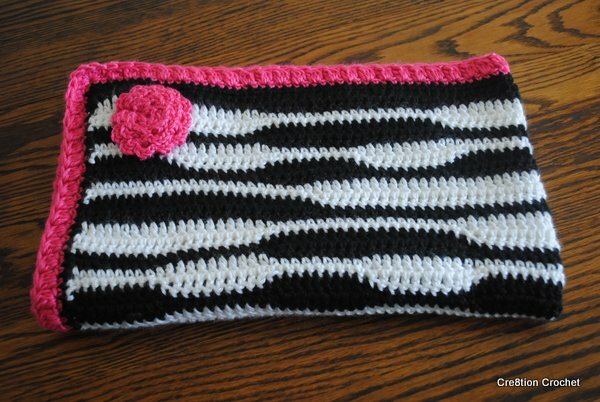 The pink border and flower is such an added bonus to this already beautiful zebra themed blanket from Cre8tion Crochet. Lorene does a fantastic job of giving great notes and tips. Stop by and check it out! 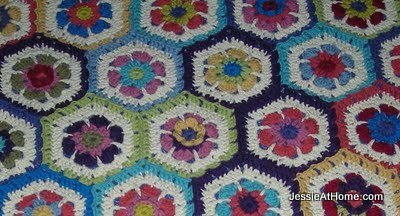 Have you always wanted to make a hexagon blanket but wasn’t too sure if you had enough skill? Jessie at Home breaks it all down in a great photo tutorial for you so that you can make one just as beautiful as hers. 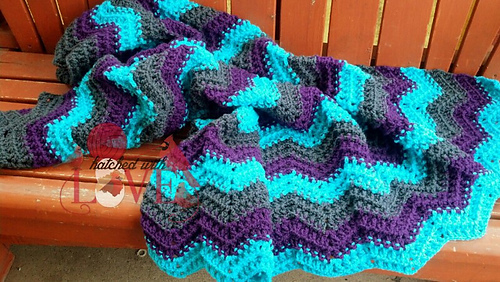 Another great blanket and this time it’s all about the ripples. Hatch-ed With Love has designed this colorful beehive ripple blanket and it’s certainly one that catches my eye! Totally stunning Jennifer! You know the yarn? Homespun by Lion Brand. You’ve seen it in the stores and it looks so soft and warm…..but you don’t buy it. Why? Because your just not sure what to do with it. Posh Pooch designs gives some really great tips on what to make, how to use it and offers this beautiful blanket pattern as a bonus. So what are you waiting for now? Go…..buy the yarn. 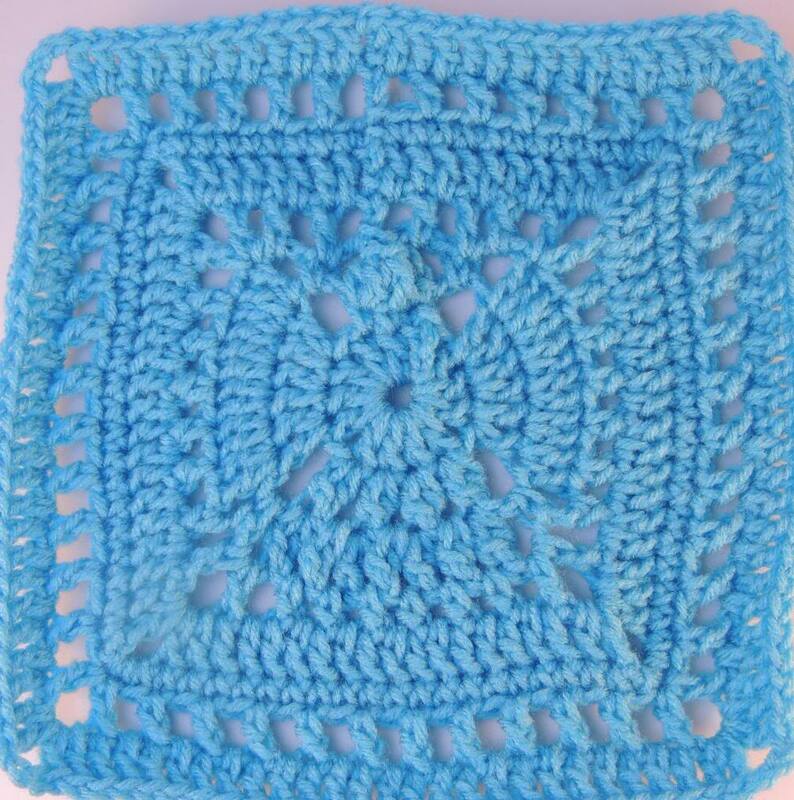 You’ve wanted to make an afghan for someone special but just can’t seem to find the perfect gift? 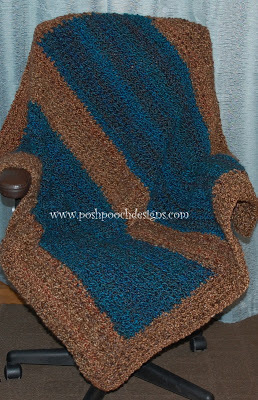 Mother’s day is coming up and here’s a perfect Angel Afghan to give to your mom. Kim Guzman once again proves her talent and produces such a delicate project that could hold lots of meaning and become someone’s treasure. Maybe you’ve already seen this blanket but it wouldn’t seem right not to include it in the Saturday Show. I love Moogly’s color choice for her leaping stripes blanket. It’s a great design and would make a perfect baby shower gift! So plush and soft is all I can think about when I see this Patterns and Pearls blanket. Pattern Paradise has designed the greatest girly blanket wouldn’t you say? It’s absolutely amazing and can only imagine the sweetness that will receive this wonderful gift. I hope you’ve enjoyed today’s show! Have a great day and be blessed.